The National Resident Matching Program (NRMP) provides an impartial venue for matching applicants' and programs' preferences for each other consistently. Each year, approximately 16,000 U.S. medical school students participate in the residency match. In addition, another 18,000 "independent" applicants, including former graduates of U.S. medical schools, U.S. osteopathic students, Canadian students, and graduates of foreign medical schools, compete for the approximately 25,000 available residency positions. 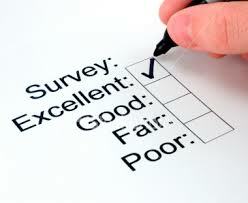 With your help, ValueMD is compiling the best Residency program reviews list! If you'll be applying for a Residency position soon, feel free to browse our library of Residency Program Ratings and see which programs are associated with "IMG friendly hospitals". If you've already completed your Residency interviews or are now doing/have completed your residency, please fill out our short anonymous survey about your experiences for the benefit of future applicants. Select the specialty and state below and click "Go", then select the program and fill out the survey (must be logged in).